Thank you Marcela and See Colombia for helping us have such an amazing honeymoon! We organized our honeymoon in Colombia with See Colombia Travel and from start to finish it was hassle-free and extremely well-organised. 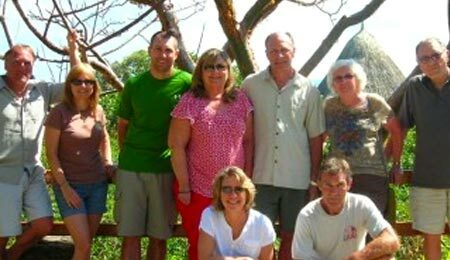 We had an idea of what we wanted to do and Marcela helped us fine-tune our itinerary. She was able to arrange accommodation, tours, transfers, our Amazon adventure and recommended the perfect paradise island for chilling by the beach. This was the first time we used a tour operator. Usually we backpack and organise ourselves but for a 15 day trip we wanted to make the most of our time in Colombia and it being our honeymoon we wanted the trip to be free of complications. See Colombia helped us have a dream holiday and I would definitely recommend them to anyone planning a trip to Colombia – it’s a beautiful country and definitely worth visiting. Hi See Colombia! I had a great time in Colombia; it is a wonderful country. Your service really helped and made my trip more fun and convenient. I think the most important aspect of the service was the private pick up transfers. There still aren’t too many travelers and it made it easier and more comfortable to go where I needed to go with the little Spanish I spoke. Thank you! 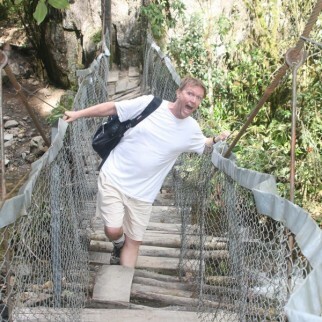 I travelled through Colombia with See Colombia Travel in Spring 2011 and I had an absolutely brilliant time. I think any visitor to Colombia is bound to enjoy themselves, but with the assistance of Marcela and her team I was able to go through the country with no trouble at all and saw so much more than I would have without their assistance. I went from Bogotá to Santa Marta to Taganga to Tayrona National Park and, finally, to Cartagena. I’d recommend all these places to budding and experienced travelers, since they offer so many surprises. 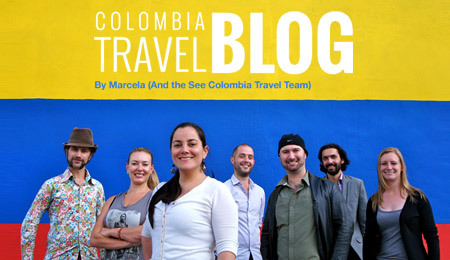 And I’d definitely recommend the services of See Colombia Travel! They stayed in touch with me the whole time throughout my trip and if I emailed with questions, they responded that same day. Colombia is a beautiful, varied country and one that I wouldn’t hesitate to come back to given half a chance, and I’d definitely get in touch with See Colombia Travel to pick their knowledgeable brains about where else I could go! Immediately upon exiting Bogota airport we realized that it was true: Colombians are very probably kindest people on earth. Our experience was like this for the rest of the trip – full of adventure, friendly people, and fantastic times. I can’t even begin to explain how great our time with See Colombia Travel was, without them and their guidance we would have missed some of Colombia’s most beautiful sights. 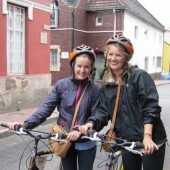 We began with a city bike tour of Bogota, which was fantastic even in the pouring rain! The fruit market was definitely a favorite! 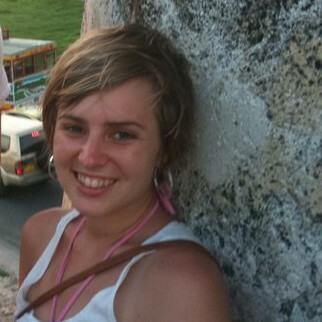 Next, Marcela organized the adventure of a lifetime – 2 nights in hammocks at Tayona National Park. I can’t think of a better way to spend my 24th birthday! Everything was perfectly organized. I’ll admit, I found Marcela while searching “is Colombia safe?” – and I couldn’t be happier. I only found Colombia and Colombians to be beautiful and full of life. 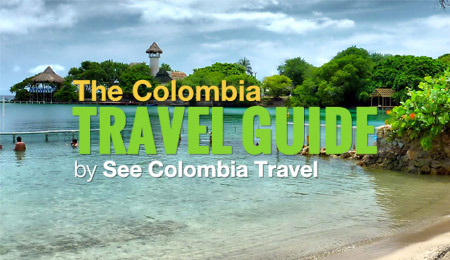 See Colombia Travel were available for all of our questions/concerns and helped plan my best vacation yet. Counting down the days until I can go back!